Congratulation for very good profit for Oil & Dollar within very short time. I played Call option for UUP (for dollar) & put option for XLE(for Oil) which gave nearly 60% profit. I am waiting for alerts from you for Oil & SPY( Which is due ) to take another short position. How this is possible for you? As if you have read the minds of great gentlemen in the meeting !!. You have exactly predicted the Dollar will shoot up, Oil will fall drastically and ....... In simple words, Unbelievable !! Every day there is a surprise from you! I think, we have to simply accept the fact that you are guardian of our money, who not only protects our capital but also ensures we make great returns !! So, one thing I have realised today is,.....no need to read or listen or get excited about any thing.....just simply do as what you say and sit tight....returns will be great !!! Thanks a lot Chris for your great work and is really appreciated. I also would like to know your other services you are providing so that I will subscribe to those as well for better learning as well as good returns. You have really earned your respect from me with your great work ethics !! "I am honoured to receive your analysis. 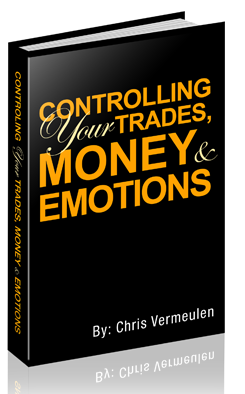 I learn a lot from your trading signals, training and the video. The efforts you put to educate the traders is absolutely great! What a great call on Crude and Dollar. Absolutely on the spot! When your success rate is 90% why there is worry!! Great work Chris and please continue your good work... Thanks again"
"Love your timing so far, however, I had some video card problems combine with email problems which severely limited my capacity for trading which caused me to miss your entry email for your latest trade, however, I was happy to see it turn out to be a trade I had just put on the previous day, so it provided confirmation for the way I was seeing the market. Thanks for all your hard work. Appreciate your energy and efforts to provide such a thoughtful service!" "Hi Chris, SDS was the first trade we did with you. Although I got in a day late, I still made out like a bandit! As mentioned in a previous email, we're new traders and trading options not stocks. We made 57% on our SDS option. We will have paid for your yearly service with just one trade! Your morning video, which is our nightly video (we're in Hong Kong), is highly educational for us as we're relatively new to the trading world and trading very carefully with our new education. Thank you so much for a job well done!" This material should not be considered investment advice. Chris Vermeulen is not a registered investment advisor. Under no circumstances should any content from this website, article, video, seminar or email from Chris Vermeulen (TheGoldAndOilGuy.com) be used or interpreted as a recommendation to buy or sell any type of security or commodity contract. This material is not a solicitation for a trading approach to financial markets. Any investment decisions must in all cases be made by the reader or by his or her registered investment advisor. This information is for educational purposes only.